If you are wondering how to deal with Monday blues, take notes from Alia Bhatt, Ranbir Kapoor and filmmaker Ayan Mukerji, who seem to have "no worries" at all (going by Alia's Instagram post). On Monday, Alia Bhatt gave her fans a sneak-peek into the sets of her forthcoming film Brahmastra by sharing a super cute picture on her Instagram profile. 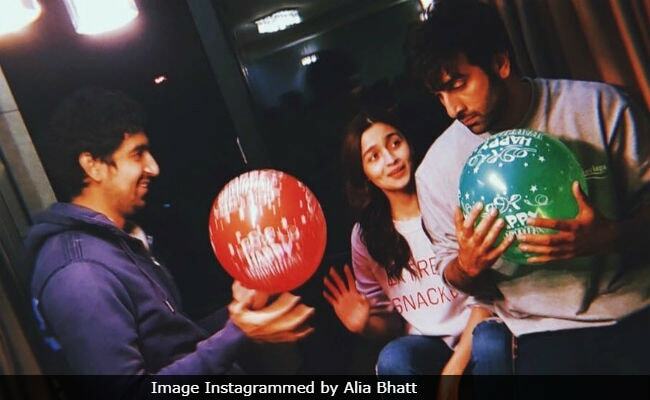 In the picture, Alia along with her co-star and rumoured boyfriend Ranbir Kapoor and Brahmastra director Ayan Mukerji can be seen playing with colourful balloons. In the caption, Alia made a reference to the popular Hakuna Matata song from Disney's The Lion King and wrote: "It means no worries for the rest of your days...Hakuna Matata." Alia's picture received over 6 lakh likes within 2 hours. Alia Bhatt is often seen documenting different facets of the film's shooting on her Instagram account. Remember the picture that she shared from the film's preparatory session in Bulgaria, a few months ago? 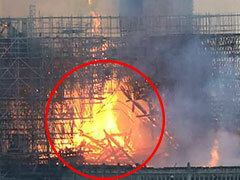 Alia, who could be seen rehearsing with her co-stars Big B and Ranbir, captioned the picture: "Oh captain my captain! Prep with the legend." Earlier this week, theBrahmastra team met President Ram Nath Kovind in Bulgaria. Pictures from Ram Nath Kovind's visit to the film's set in Sofia were shared by the President's official Twitter account. Brahmastra is a fantasy trilogy directed by Ayan Mukerji and produced by Karan Johar's Dharma Productions. Apart from Ranbir and Alia, the film also stars Amitabh Bachchan, Mouni Roy (who made her Bollywood debut in Akshay Kumar's Gold), Dimple Kapadia and Akkineni Nagarjuna. The first part of Brahmastra is slated to release next year.